Dr. Michael Byungnam Lee is a distinguished alumnus of the Carlson School of Management where he earned a doctorate in Industrial Relations. 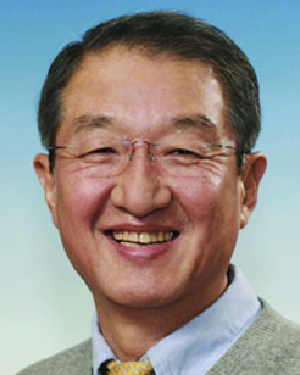 He is a leader with a distinguished professional career in Korea’s second largest corporation, LG Corporation. Dr. Lee’s success has spanned both the academic and professional worlds. As an assistant professor, Dr. Lee helped build the Beebe Institute at Georgia State University into the South’s best human resources and industrial relations academic unit. Most notably, he launched a program in which LG sends a select number of its very best human resources professionals to top U.S. master’s programs in human resources and fully pays for them to complete a two-year master’s degree. To date, the University of Minnesota has hosted 10 LG employees pursuing master’s programs. In the early 1990s, Dr. Lee was invited to conduct benchmarking research on U.S. human resources practices for LG Corporation’s human resources executives and later would become the Vice President of LG’s corporate university, LG Academy. In recognition of his outstanding work with LG Academy, Dr. Lee was appointed Senior Executive Vice President of Human Resources. After eight years of success in this role he was promoted to President and CEO of LG Academy. Dr. Lee helped significantly in the transformation of LG into a modern multinational corporation. He designed executive education programs for senior managers, introduced LG’s first overseas CEO seminar, developed an ad hoc training system for new managers, helped to spread a five-day workweek throughout Korea, introduced an employee feedback program (the first of its kind in Korea), reduced the number of layers in the executive hierarchy, introduced human resources information systems, redesigned executive performance reviews to focus on leadership, and introduced mental health programs to address high levels of stress, among many other accomplishments. In addition to his work transforming LG, Dr. Lee has been active at the national level in Korea. Among his many external roles, he is a member of the Presidential Commission on Industrial Relations Reform, policy adviser to the Ministry of Education, member of the National Labor Relations Commission, Vice Chairman of the Korean Academic Society of Business Administration, and executive board member of the Korean Association of Business Education Accreditation. Dr. Lee has said that he left Korea in 1980 with the aspiration of advancing the industrial relations systems and practices in Korea, which at the time were torn by labor disputes under military dictatorship. He has done so by remaining true to his value base on human rights and the transformative power of education. In naming Dr. Lee a recipient of the Distinguished Leadership Award for Internationals, the selection committee cited his commitment to seeking solutions to difficult and important issues using careful and rigorous thinking combined with a deep ethical commitment to improving human lives and relationships.